You Wanted The Best... Huge Vapor, No Leaks, No Gurgle, Great Taste! The Aspire Vivi Nova-S 'Bottom Dual Coil' Clearomizer is one of the finest tanks on the market. Huge vapor, no leaks, no gurgle, no burnt taste. Replacement coils are also available in 1.8 and 2.1 ohms. 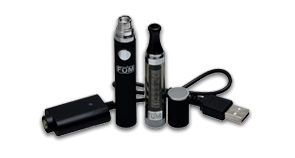 Our high-quality dry herb vaporizer kit is on sale for a limited time. Choose your favorite color and enjoy free shipping. Welcome to FūM's electronic home! Please sign up for our newsletter or send us feedback. We love to hear from our customers. An E-cig is a device that produces vapor, which can contain nicotine, that is inhaled and provides the experiences of 'smoking' and does not include tobacco, tobacco odors, ash, smoke, or any burning. What is the difference between a disposable e-cig and rechargeable e-cig? Disposable e-cigs are single use devices which contain between 300 and 500 puffs of vapor. 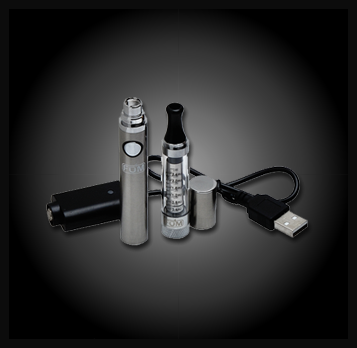 Rechargable e-cigs contain two different parts: batter and clearomizer. 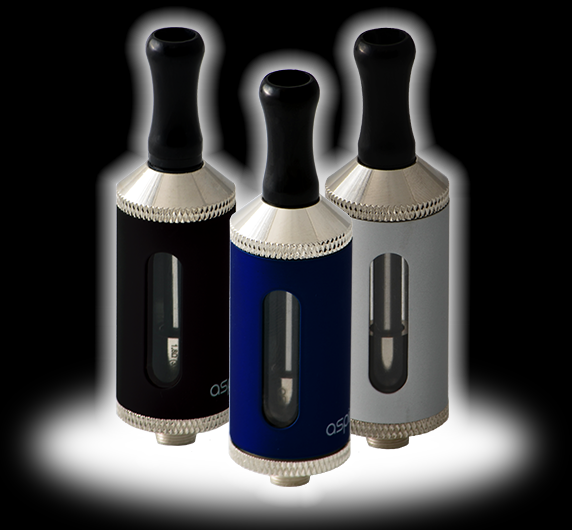 The clearomizer is the container that heats up the e-cig liquid and creates the vapor. 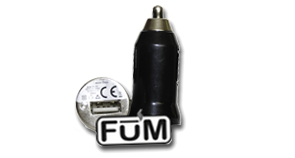 Reusability for the rechargeable e-cig are both in rechargeable battery and also in the ability to refill the clearomizer with the e-cig liquid of your choice. 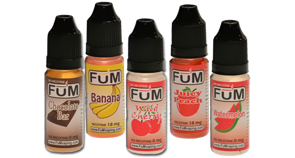 See the FūM e-cig liquids page (http://fumvaping.com/collections/liquids) to find a flavor that suits your preference. 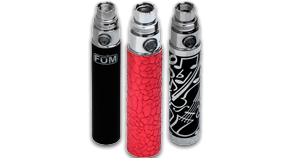 E-cig enthusiasts have benefited from rechargeable e-cigs through cost savings as well as the ability to customize the components.